The 405 on eBay: check out our collections! 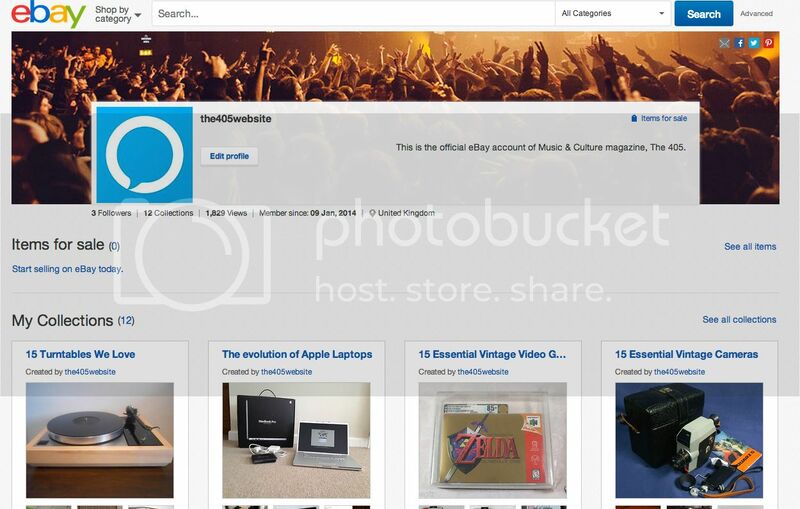 eBay recently launched their beautiful 'collections' functionality in the UK, and we were asked to try it out. Basically it allows users to group items found on the site. For example, your Grandma calls you up and says, 'hey, what would you like for Christmas?' - you could just head to eBay and create a collection of gifts you'd love her to get you and send her the link. That's a pretty silly example, but you get the point. Not only is it really easy to use, but it looks really cool too. If you head here you'll be able to see all the collections we've put together so far, including '15 Turntables We Love'. Go explore!